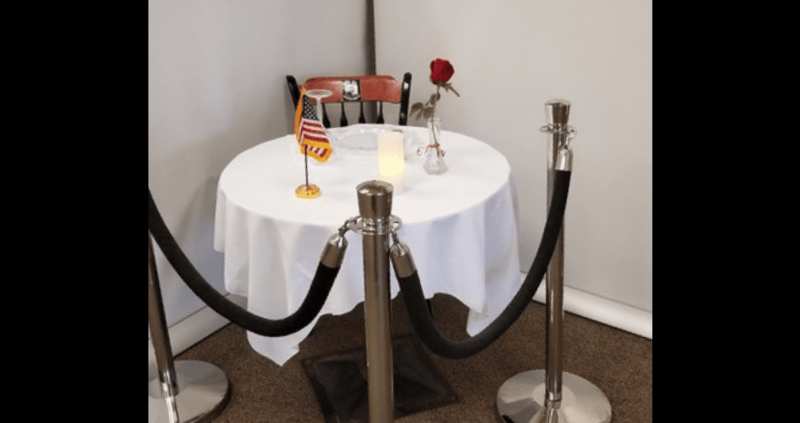 The Manchester VA Medical Center in New Hampshire recently put up a “Missing Man” table display in the front entrance. These displays are dedicated to prisoners of war or those missing in action, and they’re fairly commonplace at military bases. But this particular display had a Bible on the table, suggesting that POW/MIAs were only Christian, and that atheists and people of other faiths didn’t make the same sacrifices as other soldiers. I want you to know that you can inform your clients that the Manchester VAMC has the utmost respect and admiration for all Veterans, regardless of their beliefs. As such we are going to be removing the Bible from the display to better serve all Veterans. Great! Problem solved!… Except days later, the Bible had returned to the display. He’s right about that last part. Whenever there’s a Bible on these tables, they’re often replaced by generic “faith” books or just removed entirely. So how did it even get there in the first place? It’s because the guy who set up the table is a religious supremacist, who wrongly thinks we live in a Christian Nation. 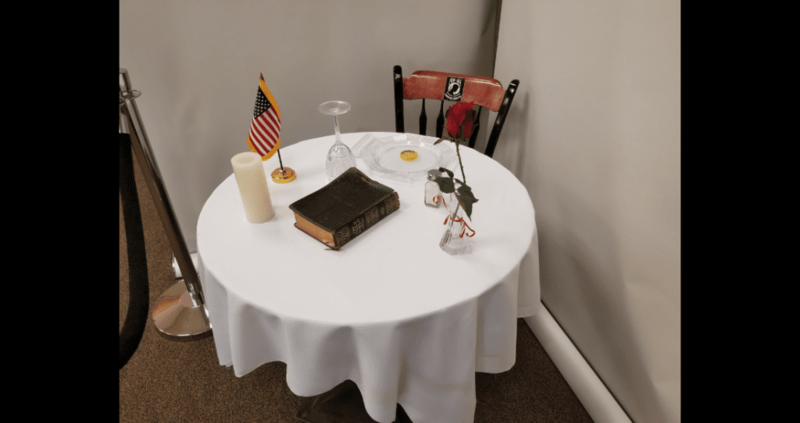 Not so fast, says Bob Jones, a Vietnam Veteran active with Northeast POW/MIA Network, the group that set up the display with a Bible donated by a 95-year-old local former POW. That’s… a weak argument. 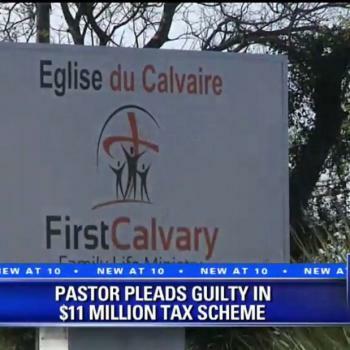 We forced religion in the government before, so we’ll do it again now! That’s not freedom. That’s the majority pushing its religious will on the minority. 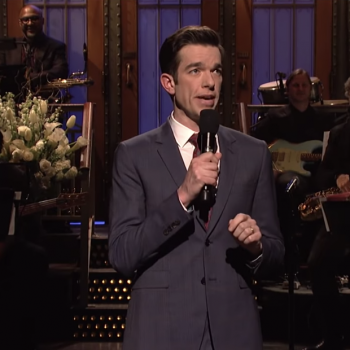 The good news is that, as of this weekend, the Bible is gone. Perhaps the VA realized Jones’ bluster had no legal backing. The current display is secular — just as it should be. It shouldn’t have taken this much work for the hospital to do the obvious.